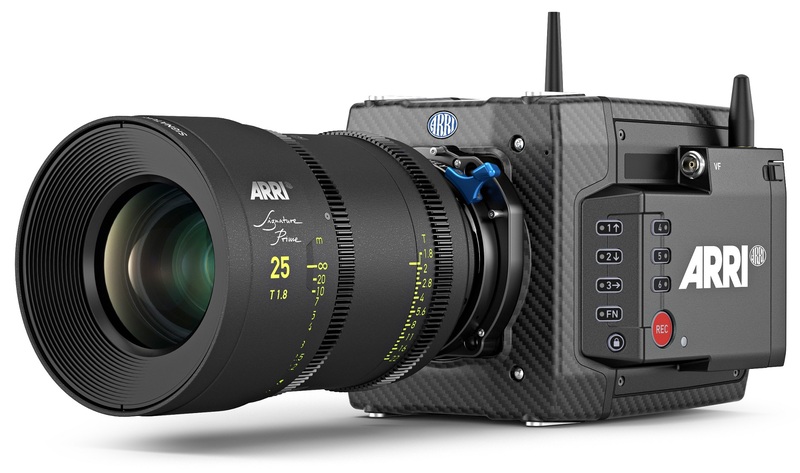 ARRI just announced a new large-format cinema camera – the ARRI ALEXA Mini LF. It features the 4.5K ALEXA LF sensor in the compact form of the ALEXA Mini. The camera has three internal, motorized FSND filters (ND 0.6, ND 1.2, and ND 1.8. ), 12 V power input, extra power outputs, a new Codex Compact Drive, as well as a new MVF-2 high-contrast HD viewfinder. 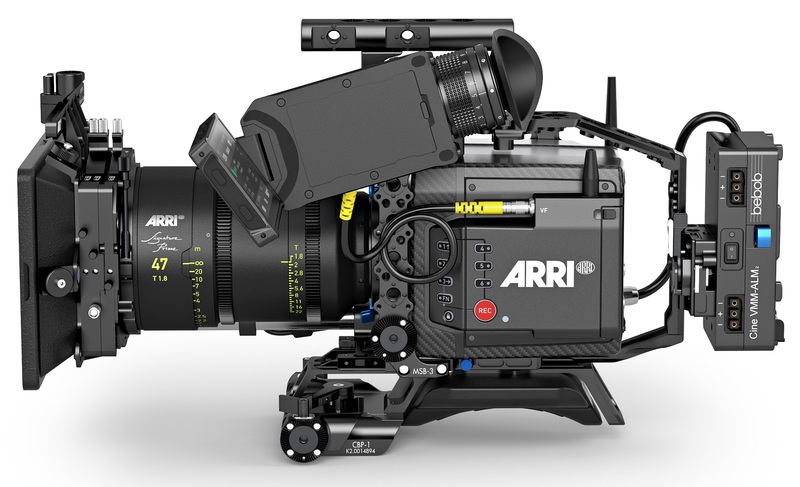 The size of ARRI’s large-format sensor is 36.70 x 25.54 mm, which is slightly larger than full-frame and offers the maximum resolution of 4.5K (4448 x 3096). As ARRI states, the sensor excels with its natural colorimetry, pleasing skin tones, low noise, and suitability for High Dynamic Range (HDR) and Wide Color Gamut (WCG) workflows. 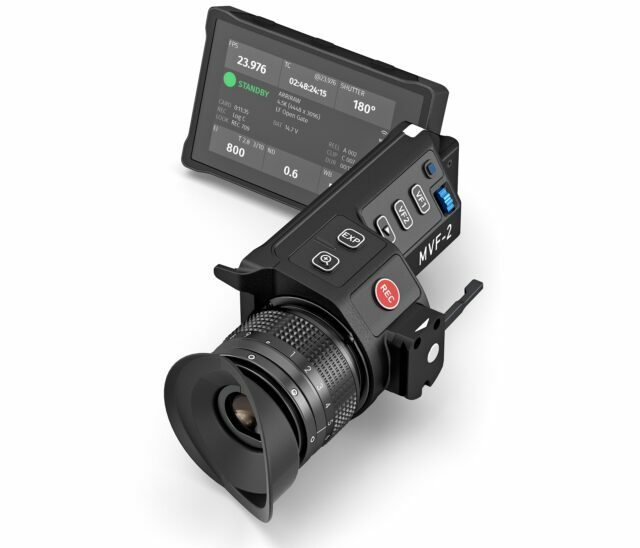 When it comes to ergonomics (compared to the ALEXA Mini), there are a few extra connectors, including regulated 12 V and 24 V accessory power, a new 6-pin audio connector, built-in microphones, and improved WiFi. 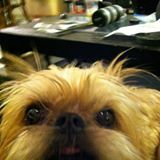 Six user buttons now occupy the camera’s operating side, and the camera and viewfinder each have their own lock button. User access to the recording media, and VF and TC connectors, has also been made easier. ARRI knows that their cameras are being used in various (sometimes very tough) weather conditions and that’s why they built them to last. The new ALEXA Mini LF has a rugged carbon body and can be used within the wide temperature range of -20° C to +45° C (-4° F to +113° F). 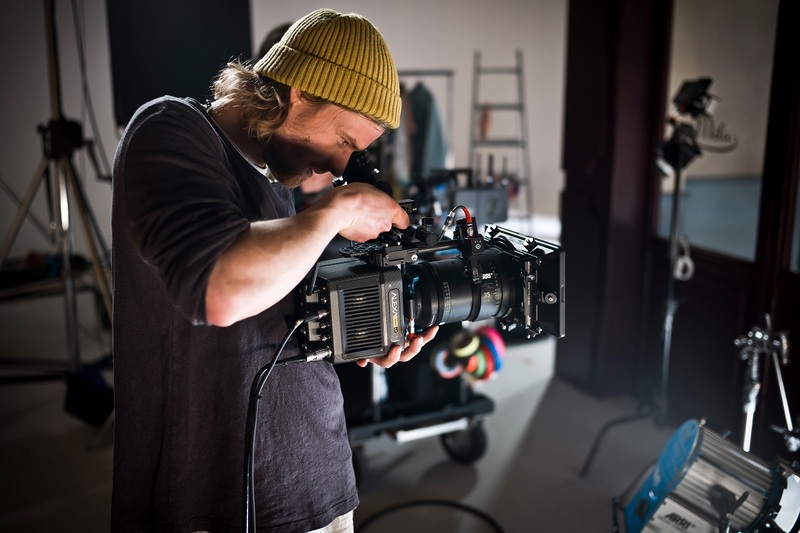 Furthermore, each ALEXA Mini LF is put through a vigorous stress test before leaving the ARRI factory and is then supported by ARRI’s global service centres. The ALEXA Mini LF has the same dimensions as the ALEXA Mini, except for the media bay on the camera’s left side. ARRI says, their current prototypes weigh in at 2.6 Kg (5.7 lbs) for the camera body with LPL lens mount and 800g (1.7 lbs) for the MVF-2 viewfinder. The ALEXA Mini LF allows for internal recording of MXF/ARRIRAW or MXF/Apple ProRes in a variety of formats and aspect ratios. When it comes to media, it is the first camera to utilise the new Compact Drive recording media from Codex. With the SSDs comes a USB-C Compact Drive Reader that can be used without any extra software or licenses on a Mac or Windows computers. In addition, a Compact Drive Adapter can be used in any dock that accepts SXR Capture Drives, potentially more than doubling download speed. Codex High Density Encoding (HDE) is a new technology of loss-less encoding to reduce ARRIRAW file sizes by around 40% during download or later in the workflow. This lowers storage costs, shortens transfer times and speeds up workflows. HDE is free-of-charge to use with Codex Capture or Compact Drives, openly shared, and fast. The new MVF-2 viewfinder for the ALEXA Mini LF incorporates the same high-contrast HD OLED display, color science, and ARRICAM eyepiece as the ALEXA LF’s EVF-2 viewfinder has. That allows for optimal judgement of focus, dynamic range and color on set. In addition, the MVF-2 features a large, 4” flip-out monitor that can display the image or the camera control menu. The MVF-2 can be used on either side of the camera and connects via a new, flexible and reliable CoaXPress VF cable that has a reach of up to 10 m for remote camera operations. It features a refined user interface, a built-in eyepiece lens heater for de-fogging, as well as a built-in headphone connector. 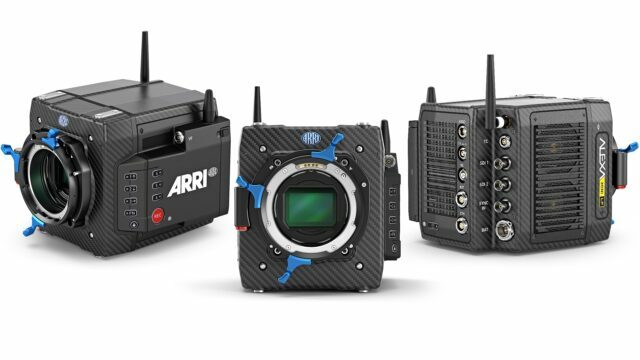 According to ARRI, the ALEXA Mini LF cameras are scheduled to start shipping from mid-2019. The camera will be available either as a bare body (brain) or with the LPL lens mount (plus PL mount adapter). There are also two “ready-to-shoot” sets available – one with a V-Mount battery plate and the other with a Gold Mount plate. These “ready-to-shoot” sets include: the camera with lens mount, MVF-2 viewfinder, two 1TB SSDs, complete shoulder rig with the battery plate, necessary cables and more. For more information about the sets, you can take a look at the according links at the end of the article. In Europe, the price for the brain starts at €48,000, which is roughly around €10,000 more than what the ALEXA Mini now sells for. The ALEXA Mini LF “ready-to-shoot” sets are priced at around €63,000. (prices taken from our site sponsor, CVP). For the US market, we don’t have any pricing information yet, but we will update the article as soon as possible. More technical information and full specifications of the camera can be found on the ARRI webpage. What do you think of the new ARRI ALEXA Mini LF? Do you have experience shooting with the ALEXA Mini or with the ALEXA LF? Can this new camera enhance your workflow on set? Let us know in the comments underneath the article. Does this mean that Netflix creators will start using ARRI again? I think I read somewhere that most wanted to use the Alexa but were barred from it due to the whole 4k thing, and the Arri 65 was usually out of the budget. If they’ve increased the open gate max frame rate to 48fps and add a 200fps 2K mode, I’d sell my Alexa mini and upgrade in a heartbeat. 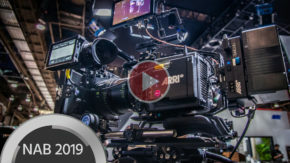 The price of minis dropped almost 20 percent last week according to FSJ International (loose lips sink shios : ) If you’re not required to shoot in true 4K its better to keep it. That’s not necessary true. It depends what kind of work a DP is getting. The package could pay for itself in 150 work days with clients who are willing to pay a realistic price.